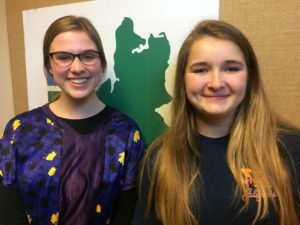 In this podcast, we hear directly from two of our very own Bainbridge High School students, Emma Russell and Maya Nathan, on how we as parents, teachers and community members help encourage or, in some cases, inhibit the natural curiosity among youth. And yet, while curiosity is innate in kids, it can also unintentionally be discouraged by adults. So how do we help our kids continue to wonder about the world, ask questions and actively seek out answers? And how do we foster that curiosity in a culture that prioritizes good grades and test scores? Emma and Maya share their perspectives in this podcast, which is part of the Bainbridge Healthy Youth Alliance’s 8-month educational campaign called “Beyond the Report Card: Cultivating What Matters”. Each month, the campaign focuses on a different attribute–such as empathy or curiosity–to help our youth thrive and is designed for local parents, educators and other adults who care about teens. 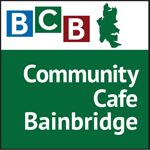 To learn more about the Bainbridge Healthy Youth Alliance, including specific things you can do to support our youth, or to sign up for weekly resources, please visit BIHealthyYouth.org. Credits: BCB host: Christina Hulet; BCB audio editor and social media publisher: Diane Walker.